An experiment in cross-modulation. I don't normally do the noise thing, but thought I'd share this clip as I know there are many of you who do. Hope you like it. 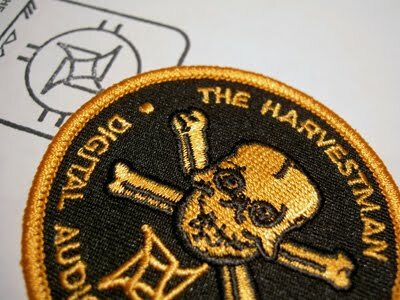 This patch started out as a bog-standard linear FM bell-sound patch. It was pretty but boring until I set up some cross modulation between the carrier and modulator. The total module-count was six (2 VCOs, Maths, clock, sequencer and multiple), but what you're hearing is the the output of a single oscillator. As you can tell, minute changes can lead to unpredictable results! This module needs little by way of introduction - shortly after it was announced, it sold out in the US and Europe. So what makes Make Noise's Maths so special that it prompted the largest used-envelope sell-off in Euro format history? Maths packs a pair of voltage controllable slope generators, much like the Bananalogue/ Serge VCS or Plan B Model 10, plus two channels of 'attenu-version'. It's this 'package' that is probably the key to its success. It's a compact, complete system. 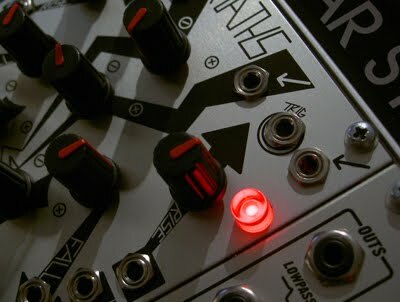 Most patch 'problems' can be solved without resorting to other modules and, like the Wogglebug, it's fun and inspiring. In use, I found the envelopes clean and spike-free. Setting rise and fall times was far easier than on my VCS or Model 10. As the manual states, the contours have a dramatic effect on timing. Like the VCS, filtering audio is not one of its strengths but when used to slew CVs it is precise. The only two things I missed were a single-shot trigger button and, more importantly, voltage control over the polarizers. The latter would, for example, allow VC contours and greatly enhance the mathematical possibilities! Update: here's a short clip demonstrating Math's slew/ portamento capabilities. 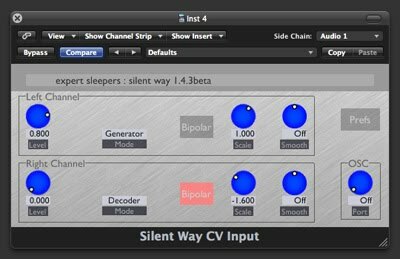 Using Silent Way's CV Input & Osculator to control your DAW. Ok, so you've managed to recover CVs from you modular. Now what? Rather than just process and/ or replay those recorded CVs, how about using Logic's Transformer to convert and redirect the MIDI CCs generated by the pairing of SW's CV to OSC component and Osculator? In today's patch I've siphoned Osculator's output and used a handful of Transformers to generate pitch & pan information for an electric piano virtual instrument and bypass & downsample parameter data for Logic's Bit Crusher plug-in. In the first section you can hear me manually adjusting a positive offset voltage from a Doepfer A-138 mixer, followed by a sequence from an A-Sol. SQ-8 plus manual offset and, finally, the stepped output of a Make Noise/ Wiard Wogglebug. In the latter example, I used automation to gradually increase in the bitcrusher's mix level to about 50%. This is a lot of fun and yields unusual and sometimes unpredictable results. For example in the sequence excerpt, the CC to note conversion isn't always 'clean'. However, I'm sure it's nothing a little additional MIDI processing couldn't solve. The biggest problem I encountered was the lack of 'note off' data and hanging notes when converting CCs to pitch. There are other ways of generating clean note information, for example using a Novation Bassstation Rack's built-in CV-MIDI converter or the Moon Modular 552, but If anyone has a Logic-based solution, I'd love to hear it! Here are some screen-grabs of the Environment I used. For those of you daunted by Logic's Environment, and in particular its Transformer modules, check out this great tutorial by Toby Pitman at audiotuts+. Thanks to Scaff for providing the inspiration for this patch with his Moon Modular 552 demos! Ever wanted to record CVs to your DAW? Expert Sleeper's latest 'Silent Way' plug-in makes this possible. 'CV Input' brings Buchla and Subotnick's Ghost Tracks method into the digital age. The plug-in can handle bipolar CVs (LFOs etc.) and the 'recovered' CV can be output live or recorded for rearrangement or further processing. To get the most out of 'CV Input' you'll need a DC-coupled Ring Modulator although for unipolar CVs (envelopes etc.) a standard linear VCA will do. In beta testing, I tried a Doepfer A-133 VC Polarizer, Cwejman VCA-2P and the DC-coupled ring modulator in my VCO-2RM. The latter gave me the best, most accurate results. The A-133 is a good, cheap option but the lack of centre-indent on the manual offset pot made it tricky to zero the output precisely and meant the returned CV was asymmetrical. 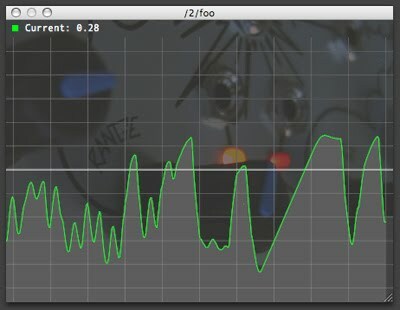 The VCA-2P was not as accurate because its 'linear' mode is in fact semi-logarithmic. Os at Expert Sleepers suggested that a calibration function to address these issues might be a possible future update. So, does it work? The short answer is a resounding yes! The caveat is that you might need to spend a few minutes setting up the plug-in for your system, but this is swift and painless. For example, you want to find the 'hottest' carrier level your audio interface can handle and balance that against the strength of the modulating CV to avoid clipping your VCA or RM. Then you will need to use the 'scale' knob to get a 1:1 match between 'original' and 'recovered' CV. Bear in mind that you might need a negative scale to counteract any anomalies in your system. Here's a short clip featuring three tracks of one VCO following the same bipolar random CV. For each successive 'harmony' track I adjusted the decoder's scale. Nice one Os - now all we need is a pitch to CV converter! For more Silent Way tips and tricks read this post. Been having a lot of fun with The Harvestman's 'Hertz Donut' digital VCO since picking one up last week. Today's PotD features five multi-tracked voices/ patches and showcases the HD's thru-zero linear FM, waveform discontinuity and tracking mode capabilities. No filters were used and I tried to keep the effects to a minimum to give you an idea of its raw sound. Expect a full modular lab review including a comparison with another thru-ZerO FM heavyweight soon!